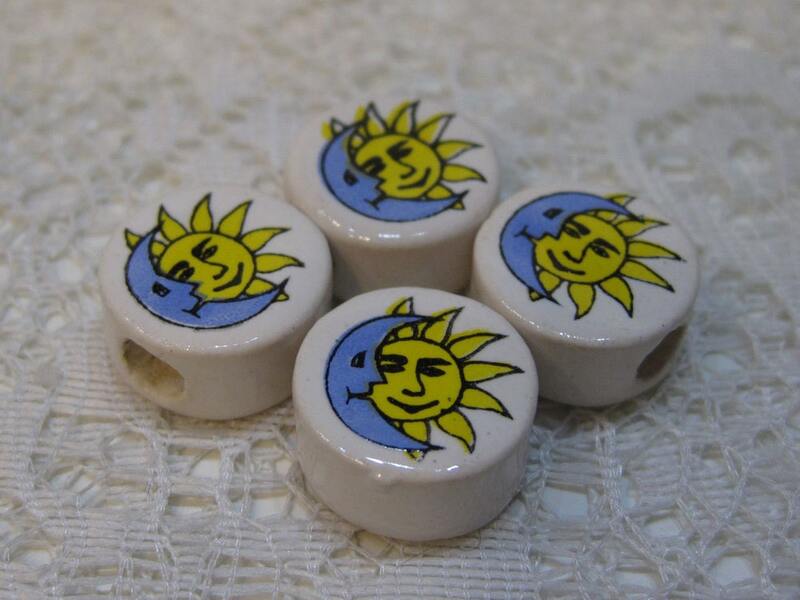 14 sun and moon round disc or coin beads measuring 14mm. (There are 4 shown in the picture but you will receive 14 beads!) These Peruvian ceramic beads were hand-printed from a hand-painted design using the serigraphic silkscreen method. Both sides are printed the same. They depict a blue half moon cradling a yellow sun. They are 14 x 7 mm in diameter, with 3 mm horizontal holes. Great size for hemp jewelry and fiber arts - knitting, crochet, weaving & macrame!